LIMERICK SENIOR HURLER Kevin Downes has suffered a major setback after it was confirmed that he tore a cruciate ligament in a club football game last Saturday. Downes, who helped Na Piarsaigh win the All-Ireland senior club hurling title on St Patrick’s Day last, was in action in a club football game when he suffered the injury. The extent of the injury has been confirmed today by the Limerick Leader. Downes came on as a substitute when Na Piarsaigh defeated Ballylanders 1-10 to 0-5 in a Limerick senior championship clash, when he suffered the injury. The injury will see Downes sidelined for several months and he will miss the start of the 2017 campaign when Limerick will compete in Division 1B of the Allianz hurling league. Limerick’s 2016 championship campaign ended last month with a qualifier defeat last month against Clare with Downes starting at corner-forward in that game in Thurles. He first emerged on the senior inter-county scene with Limerick in 2011, netting twice on his Munster championship debut against Waterford and later that summer winning a Munster U21 hurling medal with the county. Three years ago Downes hit 0-2 off the bench as he won a Munster senior hurling medal at the Gaelic Grounds with Limerick against Cork. The 6 nominees named for the GAA player of the month awards – but who gets your vote? 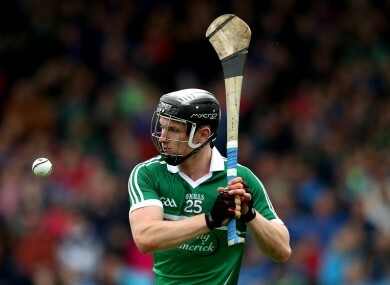 Email “Cruciate blow for Limerick hurling forward after injury suffered in club football game”. Feedback on “Cruciate blow for Limerick hurling forward after injury suffered in club football game”.